I looooooove this quotation!! It reminds me that it's necessary to yield my plans and future to God. His will be done! I should never be afraid of yielding my future to him. 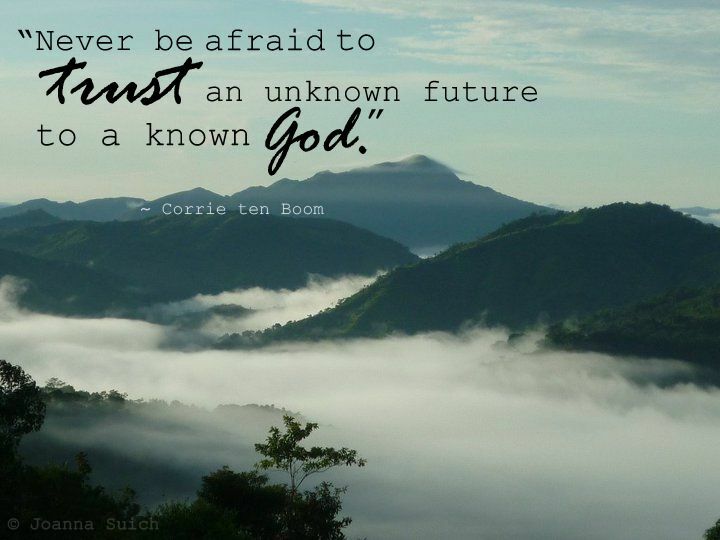 If I do yield it completely to Him, my future will, without doubt, go well because it is in his hands. I'm so glad to hear that it also encouraged you as it did me. God is so faithful and trustworthy! May He bless you as you continue to trust Him!